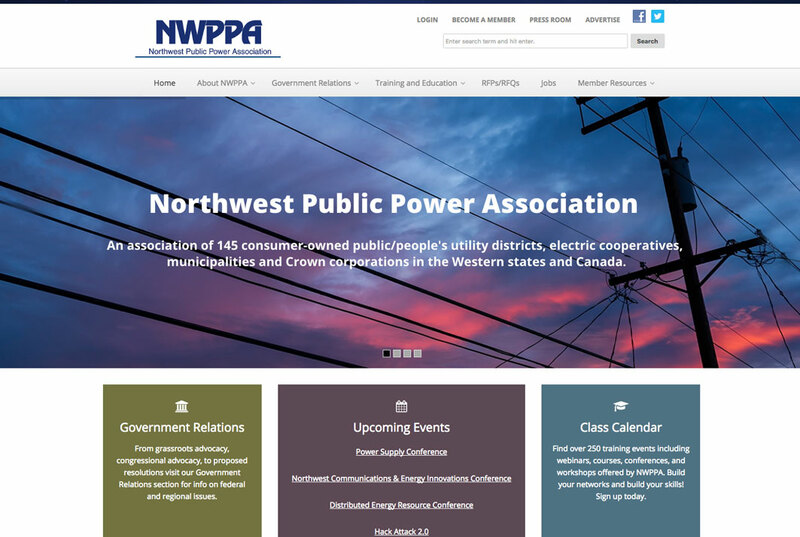 A project the scope and size of creating a better functioning, more user-friendly website for a company in such a highly specialized industry as Northwest Public Power Association (NWPPA) requires a commitment to establishing a close-working relationship with the client. NWPPA sought to develop a new website designed to better serve its existing membership of utility members located throughout the west. Working to better understand the needs of NWPPA’s member organizations, Local Fresh created a world-class website that’s easy to navigate, fully responsive across all devices, engages and serves members, and informs them of both NWPPA’s goals and what the association strives to accomplish for its membership managers and employees.